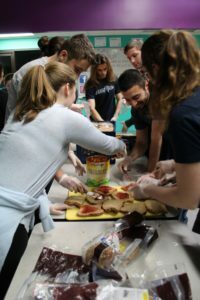 This week, Boston College Appalachia Volunteers have been volunteering at SFC, helping in both our breakfast and pantry programs, as well as making sandwiches and assisting in our daily operations. 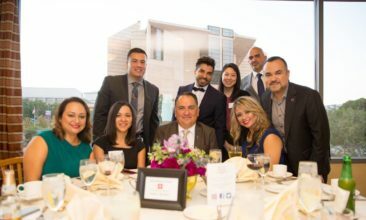 They are visiting as part of the Urban Plunge program, an opportunity for students to experience accommodations that mirror those of the guests they are serving while volunteering their time in Los Angeles. 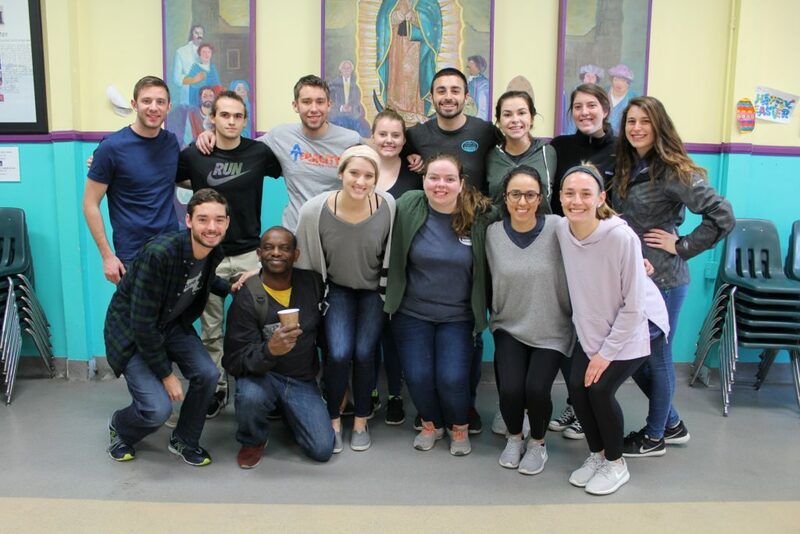 The mission of the Appalachia Volunteers is to: “Love, Learn, Serve.” Many of the students view the trip not only as an opportunity to give back to the community, but also to gain a larger perspective on issues that affect other parts of the country. The Appalachia Volunteers have enjoyed getting to know our guests more and hearing their stories, as many members of the group have not been to the West Coast before. Many are also appreciative of the opportunity to serve others who are in need, and to see the joy their service can bring. We are so grateful that Boston College Appalachia Volunteers chose to spend their week at SFC! We would not be able to do the work that we do without the help of such dedicated volunteers. We are covered this week for volunteers, but we need your help next week!